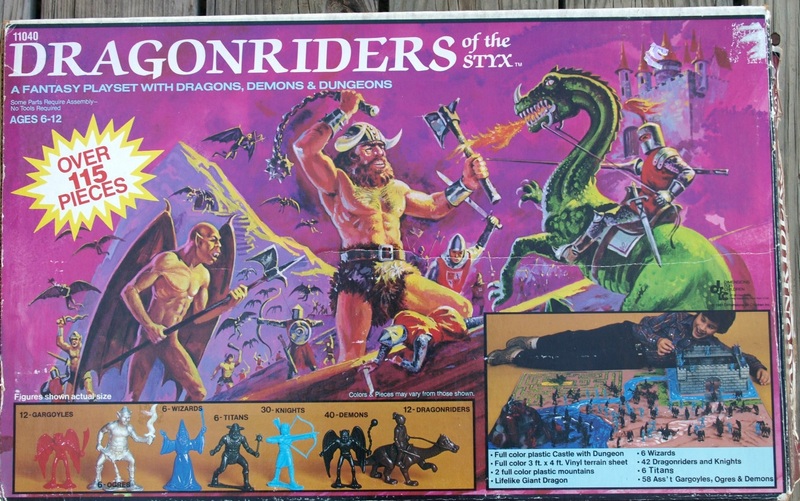 The coolest, and maybe the earliest, D&D-inspired fantasy playset I’ve seen so far. (I don’t count Warriors of the Galaxy, which is more of a MOTU-chasing spacy-fantasy.) The set is huge, first of all: it’s almost as big as the kid laying next to it on the box cover. 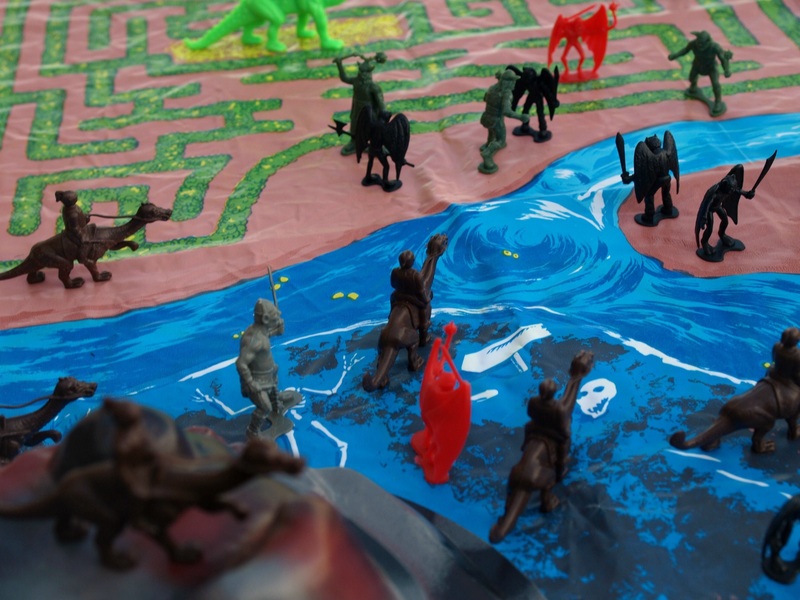 Second, the figures are a good, creative mix, even if the dragon mount looks kind of like a Tauntaun. 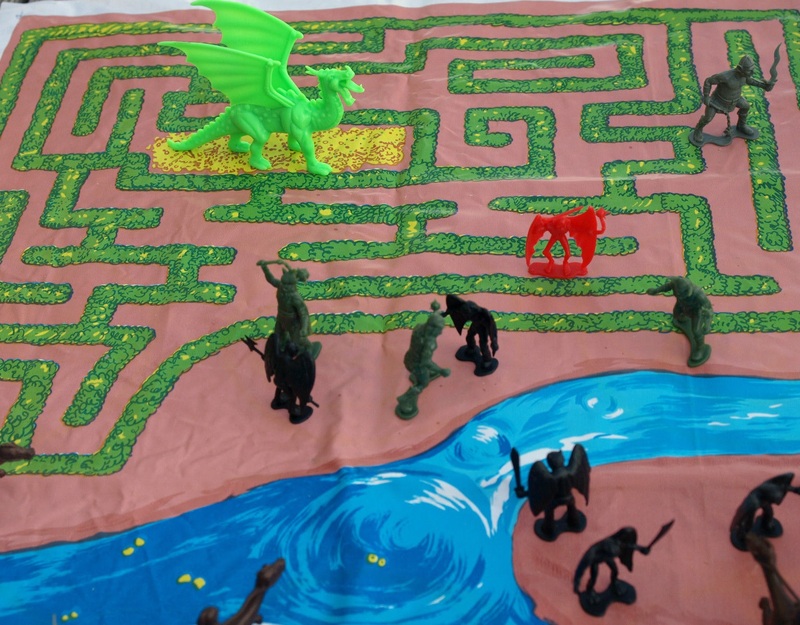 Third, I dig the maze with the gold prize in the middle, the obvious place for the green dragon to crouch. UPDATE (4/6/14): As I said here, my assumption now is that Dragonriders is the first playset to be packaged and produced in response to the popularity of D&D. ‘Dragonriders’ was likely taken from Anne McCaffrey’s popular Dragonriders of Pern trilogy, released under that name in a collected edition in 1978. The Styx is a river in Greek Mythology running into the underworld. It’s also the name of a rock band—you’ll remember them from the 1983 hit single “Mr. Roboto.” Paradise Theater, the band’s only album to hit #1 on the US charts, came out in January, 1981. 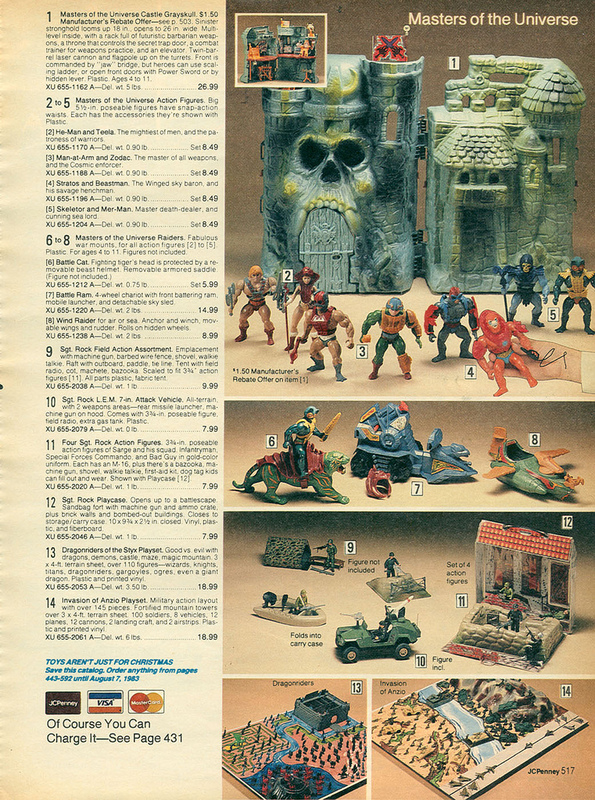 Here’s the set—pretty expensive, compared to Castle Greyskull—in the 1982 J.C. Penney catalog. Read a firsthand account of someone who owned it at Two-Bit Nonsense. 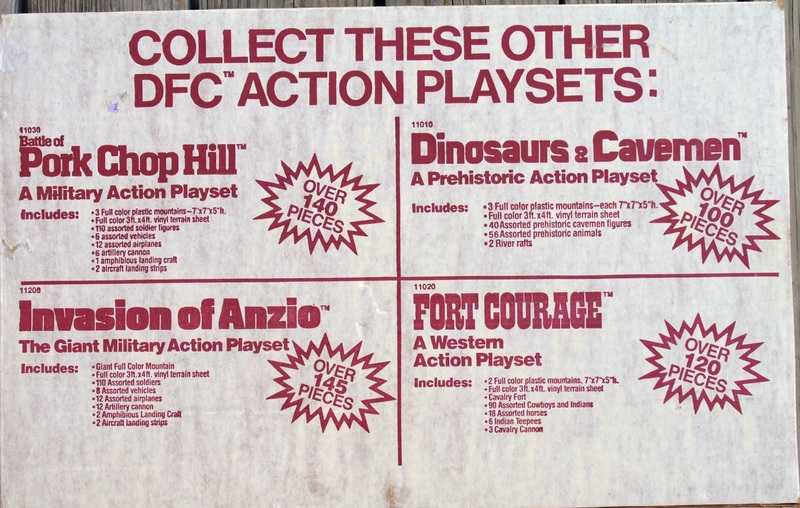 DFC also released an action figure line of the same name starting in 1983. I’ll talk about that in a future post. I had it too. The only DFC thing I owned. I used to put my Jawas in it. Nice. Was it as giant as it looks? We got this set and it was massive. The Demon Cave was the coolest part. Epic battles and the blue knights were great. 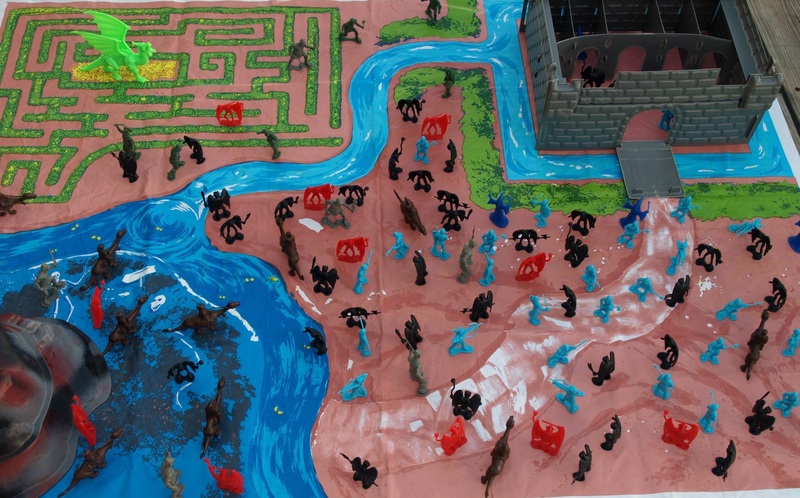 Great memories, almost played with it as often as with army men. I have the Dinosaurs and Cavemen set, but I augmented it with a bunch of other cheapo dinosaur toys because there were all these figures on the box that it didn’t actually have, like feathered pterosaurs. On the other hand, I don’t think I bought it new, though it has the box. Probably because it stored best that way. I’d take pictures, but it’s in a storage unit far from where I live.